2 family room, with a double bed and a set of bunk beds. 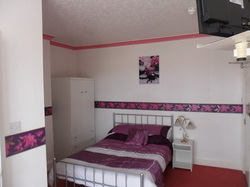 7 of our rooms are en suite with shower and toilet. A travel cot is also provided on request. 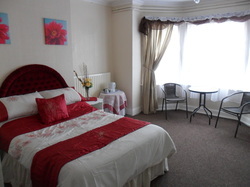 Our rooms are comfortably furnished, centrally heated and 7 of our rooms are ensuite. All bedrooms are non-smoking and there is a spacious lounge and breakfast room.